Research where it is difficult to formulate the right question has always intrigued me, as was the case with catalysis 40 years ago. The major challenge today is the integration with longer length and time scales. Rutger van Santen is emeritus professor of Catalysis at Eindhoven University of Technology (TU/e). His research interests concern molecular aspects of heterogeneous catalysis with the following three main themes: computational studies of surface-chemical reactivity; mechanisms in heterogeneous catalysis; and physical chemistry of catalyst synthesis. As a member of the Institute for Complex Molecular Systems at TU/e, Rutger Van Santen is active in the focus area 'Grip on Complexity'. Topics of research concern self-organization of complex catalytic reactions and related physical systems. Rutger van Santen received his PhD from Leiden University (The Netherlands) in 1971 in the field of theoretical chemistry. After being a postdoctoral fellow at SRI (Menlo Park, CA, USA), he joined Koninklijke/Shell company, where he was active in catalysis research and development. In 1986, he was appointed part-time Professor in Surface Chemistry at Eindhoven University of Technology (TU/e, The Netherlands) and in 1988 he became Full Professor in Catalysis at TU/e. He became emeritus professor in 2010, after which he joined the Institute of Complex Molecular studies as an honorary professor. 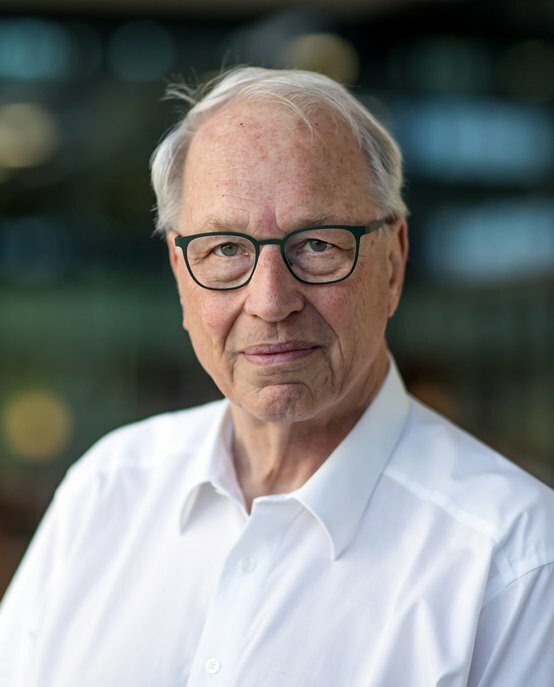 From 1990 until 2001, Rutger van Santen was scientific director of the Schuit Institute of Catalysis in Eindhoven and from 1992 until 2000 he was the first scientific director of the Netherlands Graduate School of Catalysis Research NIOK. From 2001 until 2005, he was Rector Magnificus of the TU/e. In 2005 he became director of the Schuit Institute of Catalysis and scientific director of the National Research School Combination Catalysis Controlled by Chemical Design (NRSC-C). Rutger van Santen is recipient of many awards, among which the gold medal of the Royal Dutch Chemical Society (1981), the F.G. Ciapetta lectureship award of the North American Catalysis Society (1992), the Bourke lectureship of the Royal Society of Chemistry (1996), the NWO Spinoza award (1997) and the Alwin Mittasch Medal Dechema (2004). In 2009, he was awarded the Holst Memorial Lecture Award (of Philips Research and TU/e). He received an honorary doctorate from University of Kiev in 1998 and was Karl-Ziegler-honorary Professor at the Max-Planck-Institut für Kohlenforschung Mülheim in 2001. In 2002, he was elected member of the Dutch Academy of Arts and Sciences (KNAW), which installed him as as Academy Professor at TU/e in 2006. In 2008, he was elected Foreign Member of the United States National Academy of Engineering.